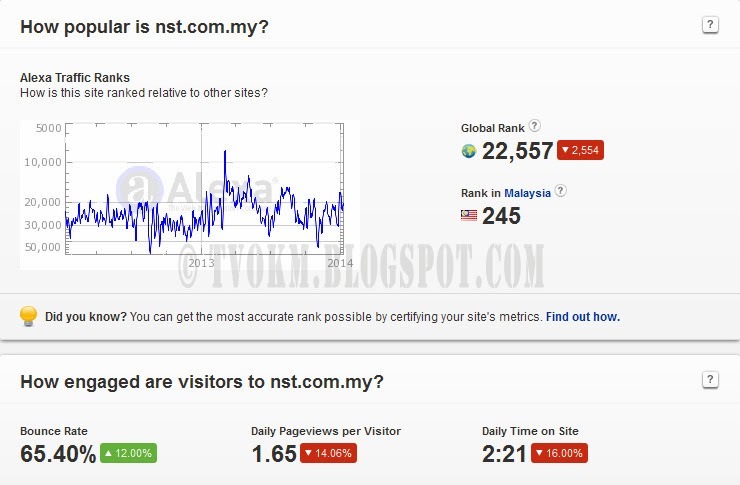 This is my research about the statistics of the popularity, between news sites owned by the government and the private sector in 2013. 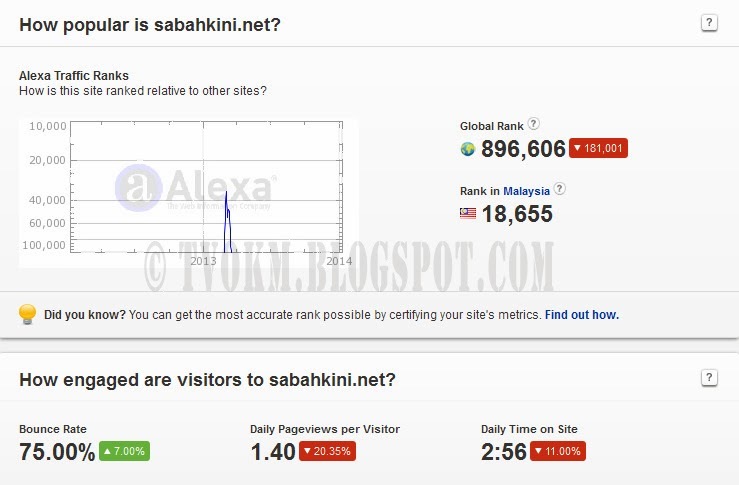 The statistics from Alexa show that the average number of visitors who come to visit news sites owned by the government, such as Utusan Malaysia, New Straits Times, The Star, and New Sabah Times, has declined and its global rank have also dropped. 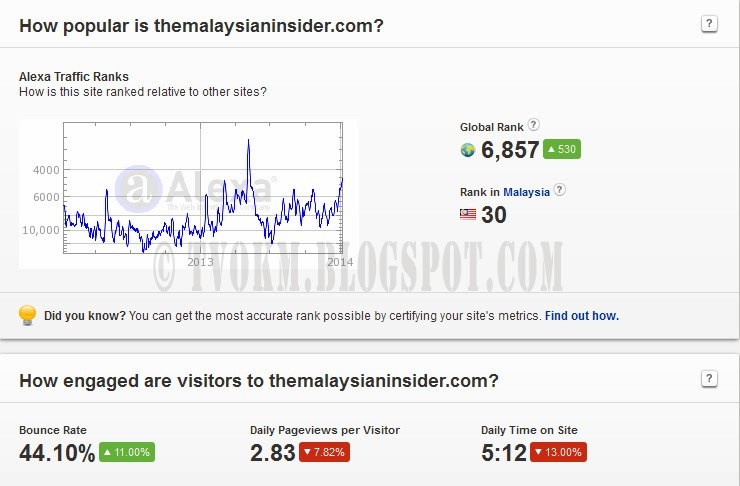 In addition, independent or private companies such as Sinar Harian, The Malaysian Insider, and Astro Awani have shown satisfactory improvement. The graph images show its metric rate clearly. 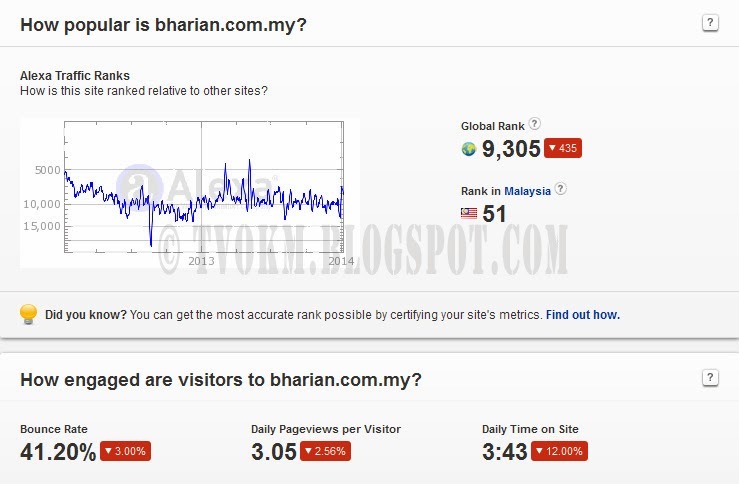 Perhaps you also wonder what are the Bounch Rate, Daily Pageviews per Visition and Daily Time on Site? 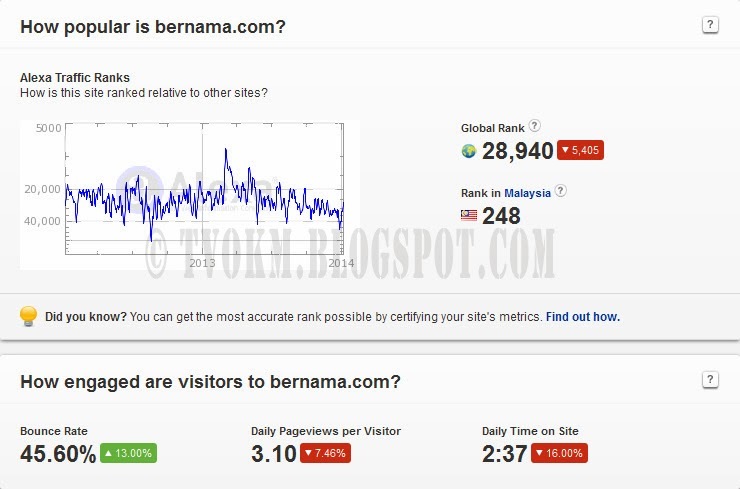 The Bounce rate represents the percentage of visitor entering and leaving the sites without reading the page or the blog content. 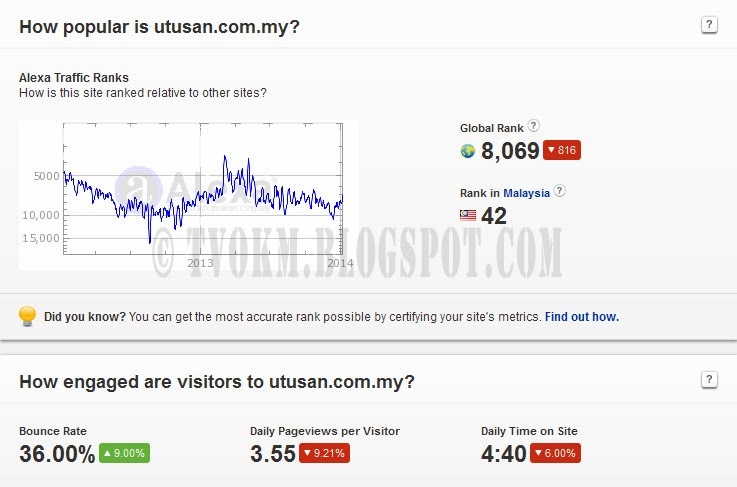 Daily Page views per Visition means the average number of pages viewed by each visitor to the site every day. Whereas Daily Time on Site is the average number of minutes that spent by each visitor a day on the site. Many private newspaper and media companies often advertise being free or independent from influence and bias. However, many of these companies and their publications are controlled by the ruling party, which may produce bias articles for their own benefit rather than informative publications. As a result, I have chosen not to list all private newspaper companies within this country that are not "transparent media", such as the Daily Express and The Borneo Post Sabah newspapers. 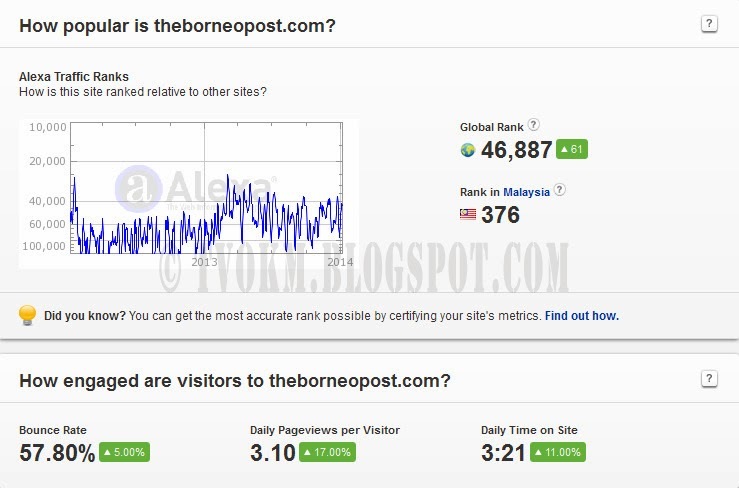 In addition, other factors that cause a number of independent news sites to fail is because they only deliver a political issues like Sabahkini site, Malaysiakini, and so on. This is because the political system in Malaysia is very corrupt and makes people wry and skeptical of hearing political issues that are filled with meaningless words and fraud. 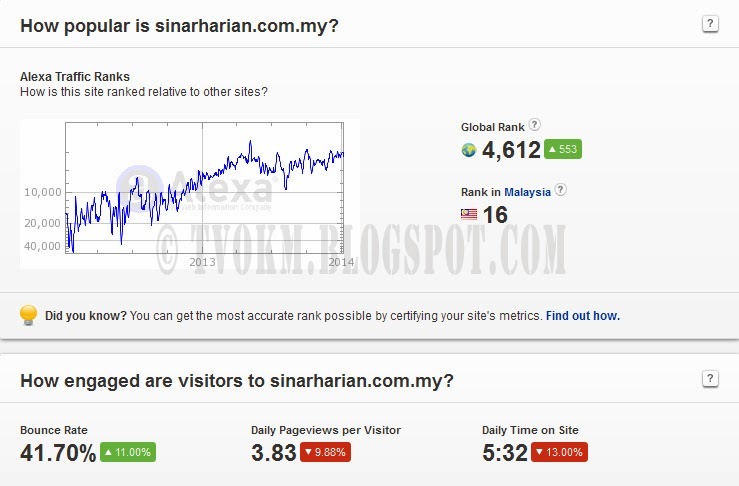 Based on conclusions of this analysis, I recommend news from the Sinar Harian, The Malaysian Insider and Astro Awani. 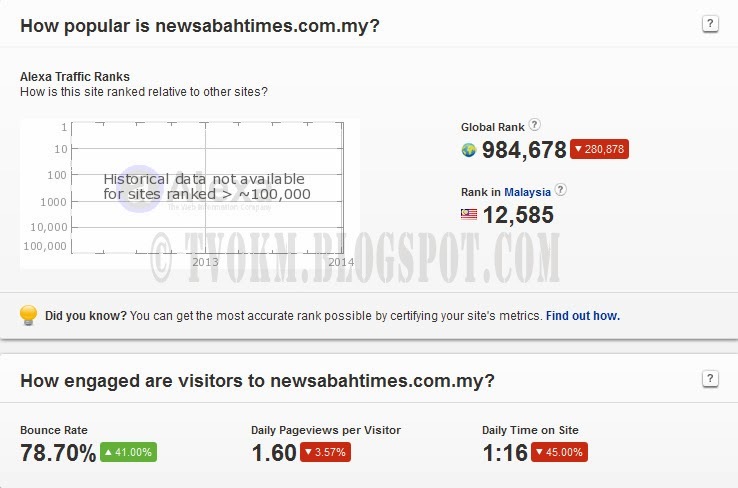 As for Sabah and Sarawak state, they are no longer the best independent newspaper sites, but if you know of some, we can share your findings, information and opinions in the comments box below. Good luck and happy reading.